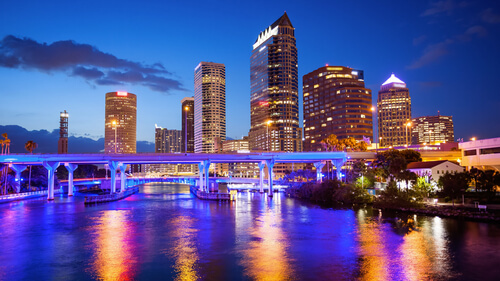 Get Your Car or Truck Transport From Jacksonville FL To Tampa now! In Nationwide Auto Transportation we can ship your car or truck quick and easy and the most important for affordable cost, the reason we can offer the best rate is because we have a truck going between Jacksonville FL To Tampa every other day and when you ship your car with other car you can save a lot of money your cost to drive the car will be higher than what you going to pay for us we also work on loading the car from Tampa to Jacksonville FL Transport and by doing that are driver never drive back empty so you pay only for one way transport. Why You need Car Shipping From Jacksonville To Tampa FL with NAT? Yes. The US Department of Transportation requires all auto transporters maintain a valid insurance policy. Nationwide Auto Transportation takes the additional step of requiring all carriers in their network to list them as additionally insured. This means that, in the unlikely event of an accident, if that agent is unable to cover the claim, Nationwide Auto Transportation is able to file the claim through their insurance company directly. So, get in touch with us right away. If you wish to pay upon delivery, please make a deposit. You can pay the balance in full to the driver in cash or certified funds. So, the process is quite convenient for you. Call for more information Car Shipping From Jacksonville To Tampa FL.